Don't know Doctor Who? Want to catch up on Doctors you missed or revisit old friends? Produced by the BBC since 1963, Doctor Who is the longestrunning science fiction show in TV history. A dozen actors (so far) have played the Time Lord who roams the universe in his TARDIS. Three collections include profiles and classic stories for each Doctor, from the first through the eleventh. Each 3-4 DVDs, SDH. 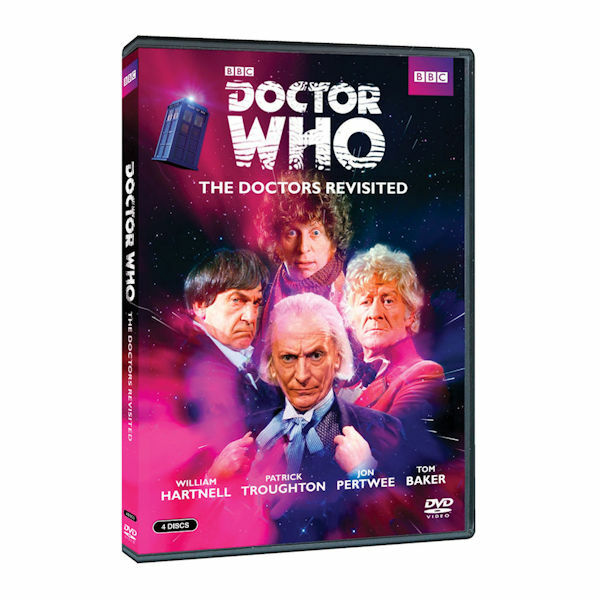 Features William Hartnell, Patrick Troughton, Jon Pertwee, Tom Baker (1963-81).